At the Tormey Law Firm LLC, we take on experienced prosecutors every day on behalf of our clients. Whether it be a criminal defense case or a child abuse allegation (or both), our experienced DYFS defense lawyers know how the system works and will fight to protect your rights and your interests every step of the way. In fact, one of our attorneys is a former Deputy Attorney General who prosecuted DCP&P cases for the State of New Jersey for four years. Now, he uses his experience and expertise to defend our clients facing similar allegations. In addition, several other attorneys at the firm are assistant county prosecutors who prosecuted criminal cases relating to child abuse including Title 9 violations and 2C violations for Endangering the Welfare of a Child. 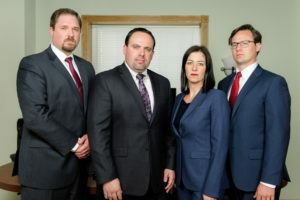 Now, these experienced criminal defense lawyers defend our clients facing similar allegations. For additional client reviews, click here. For a free initial consultation with our experienced DYFS defense lawyers, contact the Tormey Law Firm anytime at (908)-356-6900.